“Necessity is the mother of all invention”. 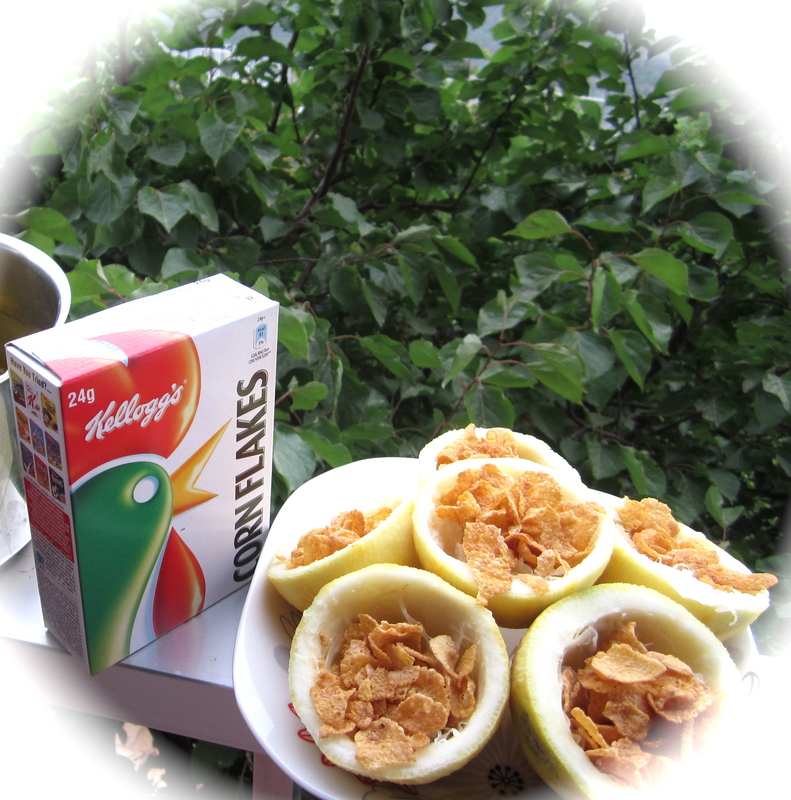 As I walked in the kitchen, the first thing that crossed my mind was a handful of corn flakes paired to the lemon filling and this is when i said why not! Let’s give it a try! 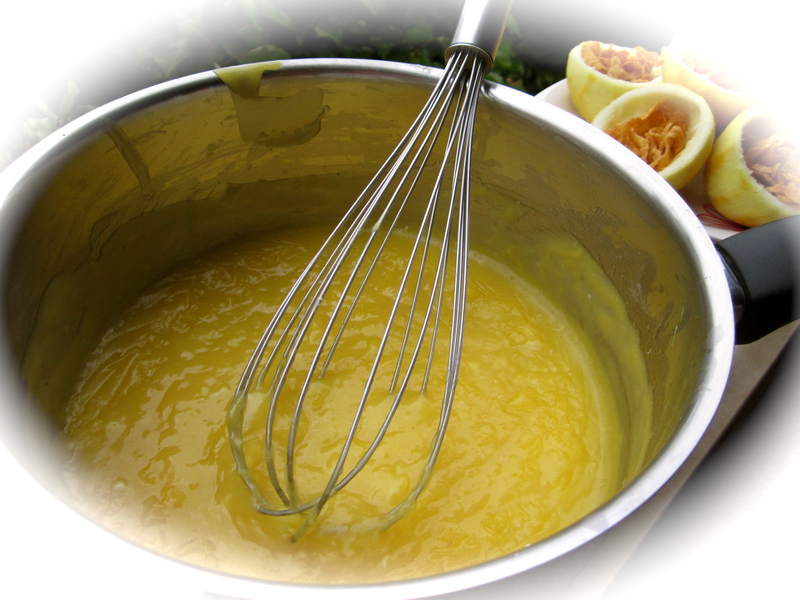 In a medium-sized saucepan heat the lemon juice, zest, sugar, and butter. Beat the eggs in a separate bowl.When the butter is melted add gradually the eggs mixture and stir constantly.Cook over low heat, stirring constantly until the mixture thickens and begins to bubble.Remove the mixture and let it cool. 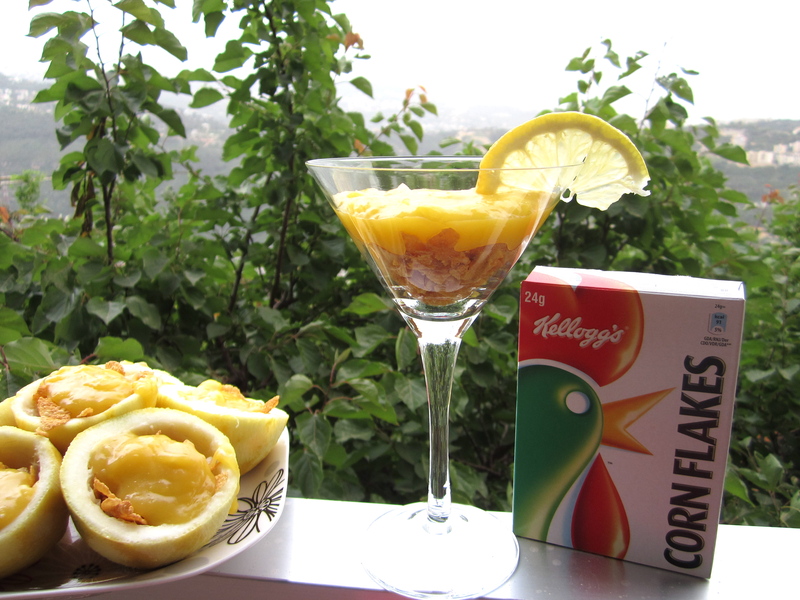 In order to make use of the squeezed lemons, fill them equally with 30g of Corn Flakes (Kellogg’s) the one and only flake with the greatest taste and top each lemon halved with a tablespoon of lemon curd! 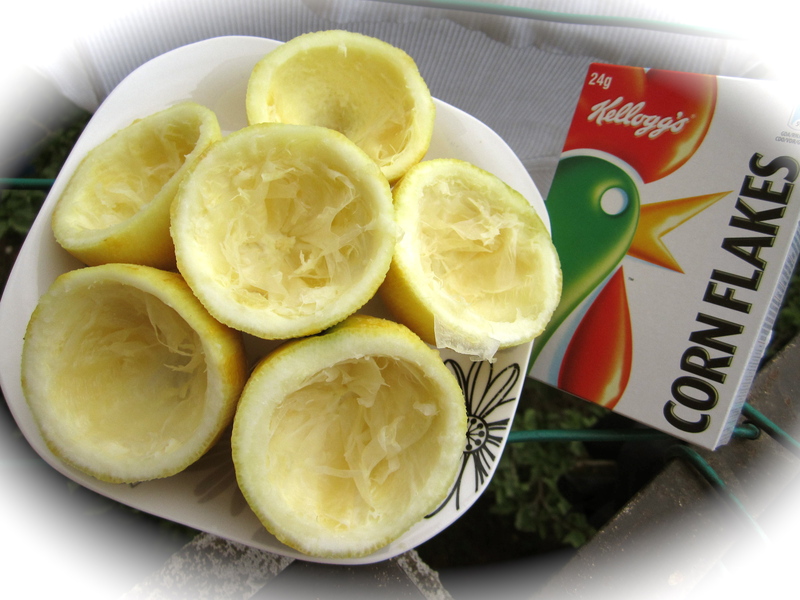 Tasty, easy, crispy, juicy and much lighter than the regular version of lemon tart or “tarte au citron”.You have the list of ingredients and the method of preparation.All you have to do now is prepare this recipe tomorrow and enjoy one halved lemon filled with lemon curd and corn flakes as an afternoon snack! Don’t forget to Share the pictures of your lemon tarts on my facebook page: EAT LIKE NICOLE!